Giles Kirkland, automotive expert, writer and consultant, discusses the most common driving distractions and whether technology can help avert them. Every year, there are thousands of road accidents in the UK, causing property damage, harm to pedestrians and drivers, and even death. In fact, in 2016, there were over 180,000 road accidents in Britain, and nearly 1,800 of those were fatal. 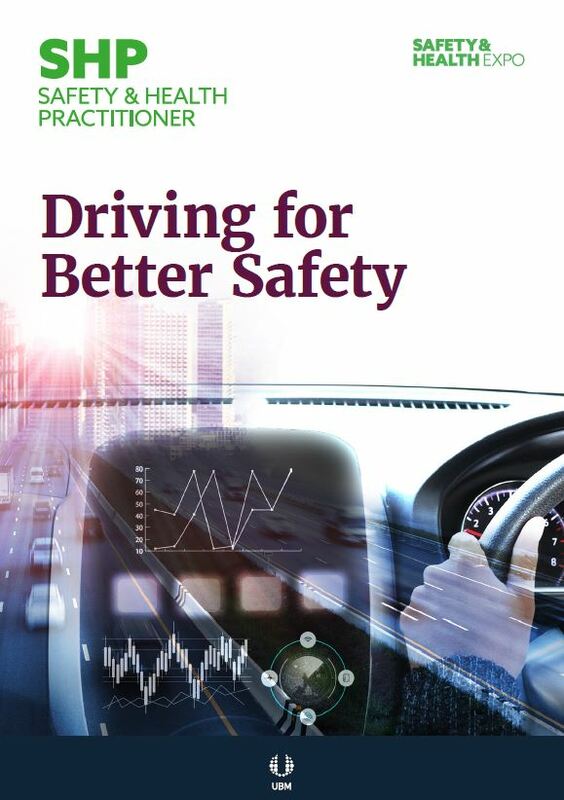 Although the number of road casualties in Britain has been on a steady decline since the 1960s, there are still measures that both drivers and safety professionals can take to decrease accidents and deaths even further. Workers that drive for a living are, of course, at a higher risk for road incidents, and moving vehicles are one of the biggest hazards related to work fatalities. 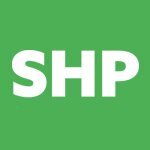 The Health and Safety Executive reports that the transport and storage industry is one of the most at-risk industries in Britain, and moving vehicles cause the second-highest percentage of fatal accidents. Clearly, it’s important that these issues are addressed. Discussing awareness while driving can certainly help with many of these incidences. Certainly, it presents a problem in the general public — it’s likely that about one in six drivers engage in distracted driving activities at any given time. But it’s especially important when it comes to industrial drivers. The more frequently a person is driving, the more likely it is that they’ll be distracted, and it only takes one mistake to cause a fatal accident. In 2016, a crash received national attention when a driver caused the deaths of four people while changing the music on his phone. This sobering incident brought distracted driving into the limelight, and for good reason. By encouraging drivers to really focus on the road, rather than other distractions, these fatalities can be significantly reduced. Traditionally, ‘distracted driving’ has generally referred to using a mobile phone while driving, but more research has suggested that there are plenty of ways a driver can be distracted while on the road. From playing music to eating a meal to even just a wandering mind, there are seemingly endless distractions preventing drivers from being fully focused on the road. Most distracted driving behaviours are easily avoidable. 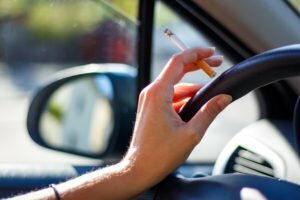 Teaching drivers not to use their phones, eat, smoke, or play loud music is fairly simple, and emphasising the dangers of these behaviours makes drivers more likely to actually take the advice to heart. But more abstract distractions, such as having a wandering mind or failing to properly observe pedestrians and other vehicles, are more difficult to properly address. In addition, while continual advances in technology can be helpful for many drivers, they’re not yet at the point where they can be relied on without a driver’s attention. Self-driving cars still require an attentive eye, cars with cruise control can’t predict when someone will need to slow down, and assistive parking only goes so far. The problem is, many drivers don’t realise that. Drivers can always be reminded that just because automobile technology has advanced in recent years, it doesn’t mean that they can allow their minds to wander. Even if they’re in a car with self-driving technology, they need to keep an eye out for obstructions, other drivers, and pedestrians. With the current automotive technology available, it’s still very dangerous to engage in distracting behaviours in a self-driving car. How can people help stop distracted driving? One survey result showed that 100% of drivers admitted to being distracted by manipulating different controls inside the car. So one of the easiest ways to address distracted driving would be to introduce statistics and facts that clearly demonstrate its potentially-fatal effects. In 2016, for example, over one-third of fatal crashes in Britain were at least partially caused by distracted driving. Although distracted driving doesn’t always result in fatalities, it’s absolutely connected to many accidents. Another thing that can be emphasised with professional drivers is that distractions can very easily stack. A driver that’s been on the job for many hours and hasn’t had much sleep recently is already at risk for distracted driving. Drivers that drive the same route over and over again often fall victim to inattentive driving without even noticing. 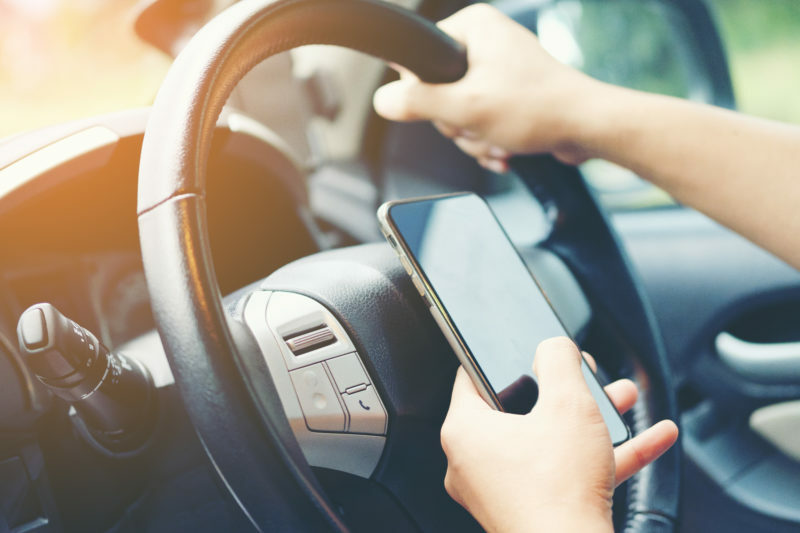 These tendencies contribute to distracted driving, and by choosing to eat, smoke, or use a phone as well, drivers are just increasing their risk for an accident. In addition, many distracted driving accidents can be avoided simply by encouraging drivers to listen to their own bodies. Most drivers can tell when they’re becoming too fatigued to function properly, or when they need to take a break and eat. Drivers can learn to enforce these requirements on themselves, and businesses that employ truck drivers can start implementing policies that limit driving time and require breaks. Can technology help stop distracted driving? Technology can be extremely helpful in avoiding distracted driving. One low-tech option available for many drivers is simply a camera that records the driver through trips. Being recorded can encourage drivers to partake in safe driving practices, because they’re more likely to be held accountable, even if they don’t end up being in an accident. More high-tech options include Driver Distraction and Drowsiness Recognition systems. DDDR systems track eye and head movements, sometimes combined with heart rate and brain function, to detect fatigue and other distractions. Then, they can alert the driver or supervisors, letting them know that a driver is more likely to have a distracted driving incident. As distracted driving moves further and further into the public eye, technology is likely to keep developing to the point where it can cut down significantly on accidents. As DDDR systems become more nuanced, they may be able to offer options that allow drivers to pass off their trucks to other employees. Self-driving technology is becoming more intelligent every day, and it very well may develop to the point where it is even more attentive than an actual driver. Accidents and fatalities continue to decline, both in Britain and around the world, and automotive deaths could become nearly unheard of in the coming years. The end goal is to eliminate distracted driving accidents altogether, but in the meantime, drivers, safety professionals, and businesses can all work together to reduce distracted driving. By bringing awareness to distracted driving behaviours, everyone involved with truck drivers can make Britain’s roads a bit safer. Increasing awareness as a key to understanding driver safety Every year, there are thousands of road accidents in the UK, causing property damage, harm to pedestrians and drivers, and even death. In fact, in 2016, there were over 180,000 road accidents in Britain, and nearly 1,800 of those were fatal.